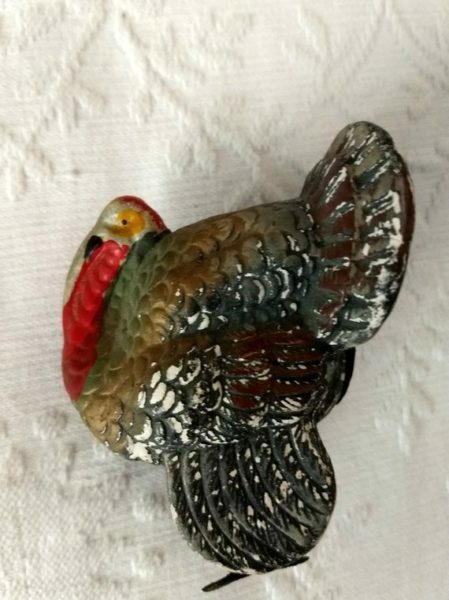 Dating from the early 1900’s – 1920’s, a composition Thanksgiving turkey candy container with metal feet. There is a cardboard pull out plug on the back of turkey to fill with candy, This colorful bird stands 3-1/2″in height with 99.9% of the hand painting still remaining on the turkey. The use of white paint for accenting the body and tail feathers, makes this guy stand out.